Pulse provides real time information from your data centre equipment and infrastructure, designed with accessibility in mind. 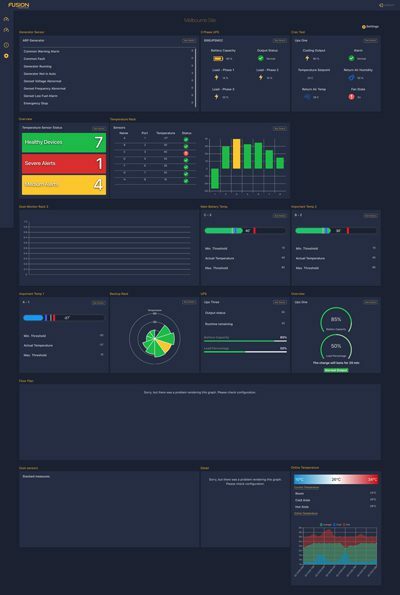 Pulse is Fusion’s proprietary remote monitoring system, that actively polls customer infrastructure to make sure everything is working as it should. We use this tool with contracted customers to proactively manage their assets remotely. If Pulse has been setup for your infrastructure you can login yourself to check your equipment vitals at any time. Pulse Monitoring System is simple, low cost and easy to deploy. It is ideal in data centres to monitor multiple devices. Pulse is specifically designed with accessibility in mind. The platform is available for both desktop and mobile. Fusion Pulse keeps you connected 24/7 to your data centre equipment and its status. 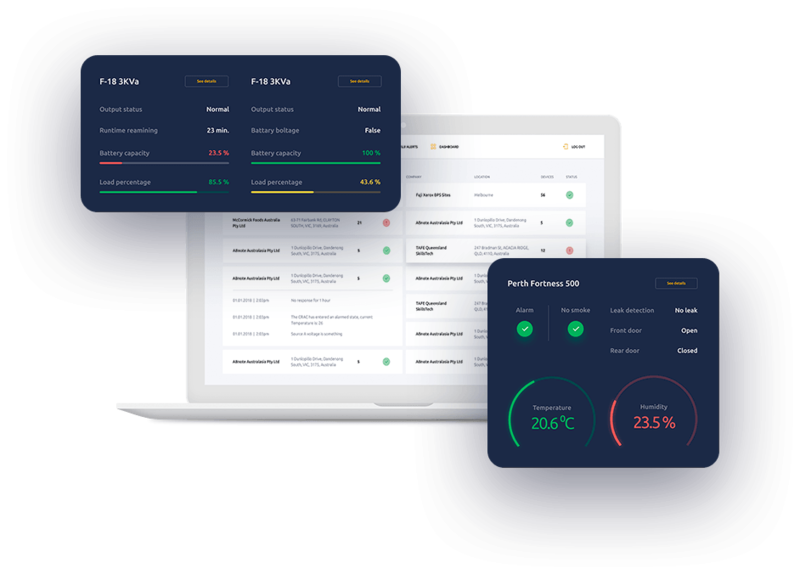 In the event of equipment failure or non-compliance to present parameters like excessive temperature, leaks or hardware failure the Pulse will generate a notification and alert the Fusion service team and the client. From there we can follow remediation procedure to ensure services and equipment are restored to normal. Through access to information and prompt notifications you will reduce downtime from over 35% of outages caused by hardware failure. You can set your own alarm preferences and if required multiple devices and platforms can be connected. Fusion Power System technicians will be notified in the case of an emergency allowing agreed follow up according to SLAs. If you don’t have Pulse but would like to know more click here. If you have Pulse but can’t remember your login credentials email our service desk or give them a call – we can reset it over the phone.